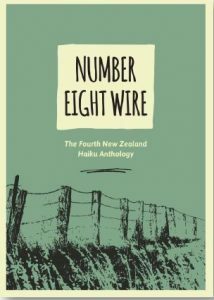 On 10 March, number eight wire, the fourth New Zealand Haiku Anthology was launched in Tauranga. (For those who’re not NZ-ers, that’s in the upper half of the North Island, on the east coast.) 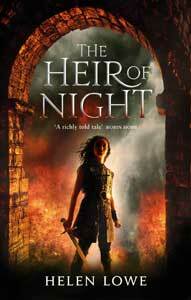 You can see photos and read about the launch here. Edited by Sandra Simpson and Margaret Beverland, number eight wire covers the decade 2008 – 2018 and is a 150-page book containing 330 haiku by 70 haijin (poets who write haiku), “published at home and around the world with many honoured in international contests.” One of those haijin, I’m delighted to confirm, is myself, for the haiku, after the funeral. after the funeral was Highly Commended in the New Zealand Poetry Society International Haiku Competition 2009 and first appeared in the NZ Poetry Society publication, moments in the whirlwind, also in 2009. Previous New Zealand haiku anthologies have appeared in 1993, 1998 and 2008.